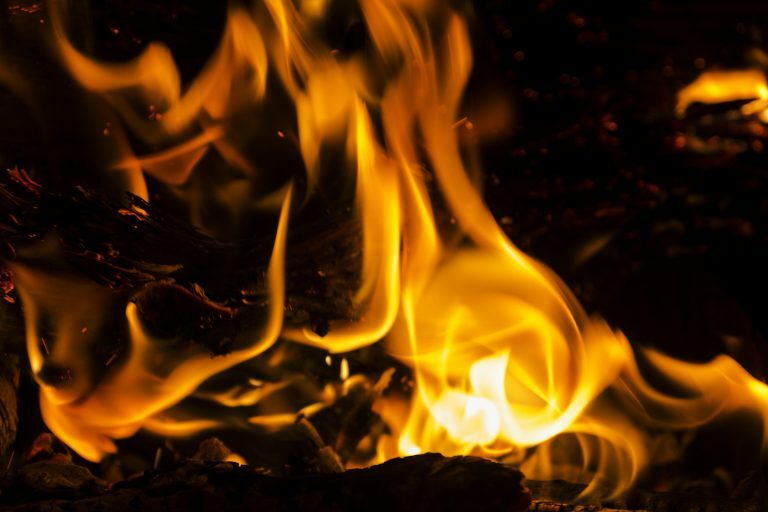 What flames of the refiner’s fire are you currently dealing with? Wayward children, financial reverses, disease, aging? Almost twelve years ago the suicide of my son was that kind of refiner’s fire for me. No event in my life has ever caused me to re-think what I believe as much as that one. As a practicing, believing Latter-day Saint, my identity was intertwined with “forever family” goals and “I am a child of God” ideas. I felt challenged at every turn. Platitudes and formulaic answers didn’t help. Gratefully, my searching and reaching has allowed this refiner’s fire to clarify my thinking about many things. In this article I’ll focus on only a few. Over time I’ve recognized that Alma the Younger and the Sons of Mosiah (and even the rescued children of others) are actually the exception. Consider Adam and Eve—surely as faithful parents as ever lived—and their grief over Cain’s choices. Think of the prayers and righteous example of Lehi and Sariah; yet, Laman and Lemuel continued to rebel. I also take full responsibility for my own choices . . . for anything I need to repent of . . . for how I’m choosing to respond to this present challenge . . . for how I’m choosing to re-evaluate my life and thoughts. My experiences have changed my perception of so many things—especially what pleases the Lord. I used to think that the Lord wanted me to work hard enough and be a good enough mother that I could present my sons to Him as practically perfect people. Because I was living with that paradigm, Brian’s exit from church and family activity and foray into drug and alcohol abuse wiped me out. I remember my feelings of failure when Brian’s picture appeared in the Salt Lake Tribune after they interviewed him in regard to one of his jobs—as a bar tender, and again, not many years later when I sent the write-up and his picture for the obituary section. I had done my best and it hadn’t been good enough. The worst had still happened. Totally unable to maintain any semblance of the Molly Mormon image, I found myself depleted in every way. I couldn’t keep up the pace and I couldn’t keep up the façade. I didn’t even want to. I had to find a better way. In my head I knew perfectly well that my youthful expectations had been unrealistic. But part of me still hung onto the ideal. Here’s how it goes: By “choosing the right” I expected to create a home where every true principle was taught and exemplified with effective clarity, where both parents were paragons of virtue, full of gospel goodness and love for each other . . . where every day was a Spirit-filled exercise in gospel living and gospel joy . . . where each child’s every need was met so they could go forth from that home filled with strength and testimony ready to make the world a better place. That picture sounds so pie in the sky, yet I had been completely taken in by it. And every Mother’s Day for decades I had grieved over the cavernous gap between that ideal and the reality I lived with. Wasn’t it about time I exchanged that unrealistic picture with a solid scriptural-based view of the real purpose of mortal experience and the real responsibility of parents? What I previously sought, without realizing it, was either a Garden of Eden experience for my children—where everything was beautiful and pleasant and we walked and talked with God—or a city of Zion or celestial experience here and now without the testing and proving time necessary to get there. Was I totally forgetting the law of opposition and the necessity of adversity? The reality is that Adam and Eve were cast out of the Garden of Eden and no parents on this earth can re-create it in mortality. Their posterity, including me and my children, live in the lone and dreary world, the same of which the Lord said, “cursed is the ground for thy sake; in sorrow shalt thou eat of it all the days of thy life; Thorns also and thistles shall it bring forth to thee” (Genesis 3:17-18). Mortal life is simply not planned to be easy! But the thorns and thistles are for our good: the Lord said He cursed the ground “for our sakes.” Our job as parents is not to create a place of comfort and lack of challenge for our children. Of course we’d never plant thorns and thistles in the ground of our children’s lives on purpose, but we can be sure there will be some. No matter how hard we try to smooth the way, our children are going to have trials and adversities. That is God’s plan. The Lord has said, “My people must be tried in all things, that they may be prepared to receive the glory that I have for them, even the glory of Zion; and he that will not bear chastisement is not worthy of my kingdom” (D&C 136:31). But of all our trials and chastisements we are told, “all these things shall give thee experience, and shall be for thy good” (D&C 122:7). The implications of those words are breathtaking. It seems that less-than-perfect parents (and spouses and children), and difficult and challenging home circumstances are part and parcel of the testing and trying of this probationary experience. God knows exactly what He is doing when He places each child in each home. He never makes mistakes. His placements inevitably give individuals the precise difficulties they most need for their particular personality in order to fulfill their particular mission on this earth. Who am I to say that Brian did not (or will not, in the eternities) fulfill his? So many times it is not in spite of, but because of difficult home situations that people develop the strength of character and drive to become who the Lord wants them to become. For example, how many people do you know who have developed their best characteristics in a Herculean effort to do things differently from the way their parents did them? As I moved ahead, I began to ponder more about the whole experience, and dig deeper. Just what was I learning or supposed to learn and why? Stripped of all ability to be the “shining example,” I began to recognize how prideful that need had been in the first place, and how much I had misunderstood basic doctrines. The refiner’s fire was line upon line purifying my beliefs as well as my heart. We need to turn to the Lord completely. Only His help in these last great and dreadful times will suffice. I am so saddened by the number of sisters that I write to who have not found the Lord at all, even though they have attended every meeting, taught every lesson in their callings, and are still lost in feeling worthlessness, despair, and lack of spirituality. I believe that “lengthen your stride, do more, work harder, fill each second with busy-ness” is melting away to be replaced with “be comforted, these are days of trials, seek the Lord, be still and know that I am God.” The Lord is with you and will never leave you. With His help you can endure to the end. Becky is right. What the Lord really wants is my whole heart—and He wants it broken. There are as many scenarios that break our hearts as there are people.Righteous actions do not give a guarantee of safety from the refiner’s fire. We are all left to turn to the Lord’s promises for comfort. No matter how serious the trial, how deep the distress, how great the affliction, He will never desert us . . . We may pass through the fiery furnace; we may pass through deep waters; but we shall not be consumed nor overwhelmed. We shall emerge from all these trials and difficulties the better and purer for them, if we only trust in our God and keep His commandments. George Q. Cannon, Collected Discourses, 2:185. Trials are so much more intense if we compound them with dismay at God, questioning His love and goodness. Yielding ourselves to the Lord and His will may seem risky, dangerous. However, I’ve come to believe that trusting God no matter what is the only safety we have. Somehow, some way, we are given motivation to trust God enough to turn our lives over to Him. It’s an amazing process, actually—how the very things that cut us down to nothing carry the potential to build us up to what the Lord wants us to be. The Refiner’s Fire does us a great service when it purifies our hearts as well as our beliefs. My first born son, Darius, also took his own life. Day after day and night after night, a cried and prayed, and prayed and cried. One night, in desperation at the thought that my poor son would spend all eternity alone and without a family of his own led me to plead Heavenly Father to punish me instead, and to grant my son an eternal family of his own. I received almost a rebuke. "Are you saying you can add anything to my Son's infinite Atonement" entered my mind with great power. No, was my reply. "My Son's grace is sufficient for your son, and for you" was the follow up thought that entered my mind. All of a sudden, it became crystal clear to me that my son is loved, cherished, and has full potential ahead of him because of our Savior's infinite love. My heart and mind became at peace. I felt enveloped in love and grace, and was able to sleep knowing that my son was also loved and arable of receiving the Lord's grace. Thank you for sharing your experience. How brave of you to open up about something so painful. Your thoughts are helping me think through my current painful situation in a more healthy way. Your thoughts in the sections "Rethinking What the Lord Really Wants from Me", and "The Pain of Unrealistic Expectations" are giving me pause with my current internal thoughts of self-blame for choices being made by people I love that are causing me pain. And I need a pause in that, if not a total cessation! I also especially appreciated Elder Cannon's quote that you included. Thanks again.